Got extra milk? Share it. This week is World Milksharing week and my friend E wrote this piece about her experience receiving donor breastmilk for her daughter. I asked her if I could share it because I think it’s important for people to hear about positive sharing experiences. Maybe it will alleviate stress for some new families, or open up previously unconsidered avenues for others. 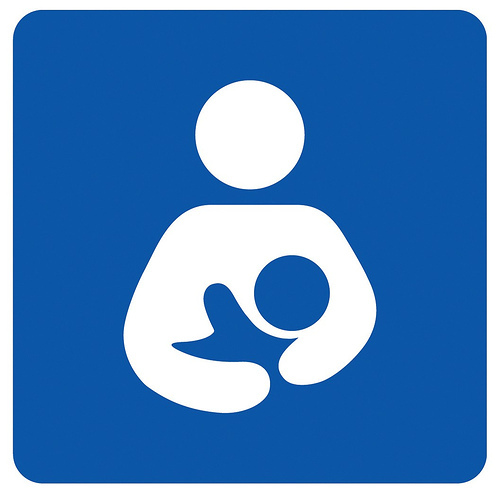 The World Health Organization calls for exclusive breastfeeding from birth through six months. After this time, it recommends continued breastfeeding with the addition of complementary foods through 2 years of age and beyond, as long as mutually desirable for mother and child. We hope that by raising awareness about milksharing, families will never again feel forced into feeding breastmilk substitutes –an act which is not without risk to the health of the child. If a mother is unable to breastfeed, or unable to produce enough breastmilk, families can access the milk of another healthy woman through wet-nursing or milk donation. The incredible sense of community that is created among donor and recipient families who partake in milksharing is to be celebrated. Raising awareness about the possibility of milksharing will prevent thousands of ounces of breastmilk from being dumped down the drain by mothers who didn’t know there was another option. Breastmilk is not a scarce commodity and there are women around the world who are willing to share. Before having my first child 6 months ago, I sincerely hoped I would be able to breastfeed, for all of the benefits it would provide both me and my daughter. I knew it might not be possible, due to a breast reduction surgery 10 years ago, but I at least wanted to try. It was extremely challenging from the very start, but I stuck with it, through painful nursing sessions, sleepless nights and latch problems. After about 3 months, I learned that despite my very best efforts, I was simply not able to produce enough milk to meet my daughter’s increasing demand as she continued to grow. I worked with a wonderful lactation consultant who assured me that while I was doing everything right, J would need supplements to what I was able to provide for her. I’m not going to lie, it was difficult news to hear. As a parent, there is nothing worse than feeling like you are not able to provide for your child, especially something so basic as the food she needs to grow and thrive. While I am in no way opposed to formula feeding, it was not the choice I had personally hoped to make, and I really wanted to provide my baby with the best possible food, breast milk, for as long as possible. I have a friend who, coincidentally, had a baby just 4 days before I did, even though she was due more than a month after me. Her daughter had some health complications, one of which prevented her from being able to nurse. My friend actually pumped exclusively for her daughter for a whole three months (you will know this is completely amazing if you’ve ever tried pumping. There’s no way I would have been able to do it! ), which resulted in her having an oversupply of milk. Even with all that she already had on her plate as a new mom to a child with atypical medical needs, she realized that her extra milk didn’t need to go to waste in the freezer. She had already been donating some of her milk, and when she found out about my situation, she offered to share her stash with Juniper and me as well. It is impossible for me to explain how grateful I was, and continue to be, for her generosity. After so much pain, worry, sleepless nights, and unsuccessful attempts at increasing my milk supply, seeing a freezer full of milk brought peace of mind. Finally, I didn’t have to worry and fear that my baby was going hungry. By using a supplemental nursing system (a small tube that allows the baby to take extra milk or formula while still nursing at the breast), I could not only continue to give her whatever milk I was able to make, I could also know for sure that she was getting enough to eat at every feeding. The benefits were immediate–right away, J just seemed happier, more content, and the numbers on the scale finally began to move back in the right direction. I know that plenty of people probably think it’s totally weird that I give my child another woman’s milk. Hell, I thought it was weird at first too. But I realized that it was only my cultural conditioning, honed by living in a generally breastfeeding-phobic society, that made me feel uncomfortable. The bottom line is that my baby doesn’t know the difference, and getting over my own hang-ups has allowed me to make the best choice for HER. Both my pediatrician and lactation consultant have been completely supportive and happy that I we have access to use donor milk. I only wish that more mothers knew about this option. For most of human history, mothers have shared milk. Before formula came along, the reasons were clear–babies need to eat, babies eat milk, so when one woman couldn’t provide it for one reason or another, a friend or family member would gladly share to help the baby thrive. I have several friends who donate their milk, and I thank them and applaud them for the work they are doing. If you are a parent who is struggling with breastfeeding, or supplementing, or formula feeding, or WHATEVER, I urge you to check out the milksharing organization Human Milk 4 Human Babies. And if you happen to be one of the lucky moms with an abundant milk supply, PLEASE consider sharing the wealth. Don’t let that freezer stash go to waste–I promise you there is a mom and baby out there who would be so grateful to have it. This weekend, J will turn 6 months old, and the last of the milk in my freezer will finally be gone. I will continue to nurse her for as long as I’m able, supplementing with formula at each feeding. Instead of feeling defeated, I now feel proud that I was able to give her a little more of that “magic juice” than I could have on my own by opening up to the idea of milksharing. For us, donor milk was absolutely the right choice, and I’m so happy that it was an option we had available. Readers: Have you donated breast milk? Have you used donated breast milk to feed a child? What was your experience like? I don’t remember ever consciously making a decision to breastfeed. I just always assumed, if I had kids, that I would. In fact, when I was about 24, I decided against breast reduction surgery because the surgeons told me that if I had one, I wouldn’t be able to breastfeed. So, O was born. And the pressure at the hospital to nurse was insane. I was grateful that the hospital was supportive of my decision to nurse, but the schedules, and check boxes, and timelines…they made me feel like giving up. The nurses wanted to know how many drops of colostrum he’d eaten (I find this ridiculous, because my breasts are not see through – how the hell do I know how many drops he ate? ), or they wanted to see him nursing 20 minutes per side every two hours. Getting him to latch was a nightmare – both he and I were reduced to tears on more than one occasion. Every nurse had a different suggestion, and most of them made me feel like if I couldn’t get him to latch, well there was always formula. After a few days O and I managed to find ONE position the nurse in; the football hold. It was great that we were successful, but the football hold is probably the least portable hold there is. I stopped being anxious about being capable of feeding him, and started being anxious about being stuck in the house for the next year. I remember taking a walk with N about a week after O was born, and unloading all the fears I had about breastfeeding. I worried about being “tied” to O. That I wouldn’t be able to manage, emotionally, the responsibility that comes with breastfeeding. That I would resent being needed. That I would feel trapped. That I would be isolated. I did feel all of those things at various times early on. But as time passed, and I got more comfortable nursing, and O got better at it, and we mastered new positions, nursing became second nature to me. It’s just what I did. There’s a statistic floating around that one of the greatest indicators of whether or not a woman will breastfeed, and for how long, is how supportive her partner is. For this I give N a standing ovation. He was completely supportive from day 1 and did everything to help me be successful. In the beginning he brought me a million glasses of water. And then he would sit and keep me company. If we were getting ready to go out, he would stop and say, “Do you want to nurse him before we leave?” I never felt like I was inconveniencing him, even if it meant we did things a lot slower than we used to. It’s been almost 11 months. O shows no signs of slowing down. He still nurses at least once a night, and several times during the day. I have mixed feelings about weaning, as I’m sure many moms do. Sometimes I can’t wait for the day, and other times I think I’ll miss the cuddles. Whatever happens, I’m proud that we’ve come this far, and I’ll keep going as long as he wants.